It is no secret that CPOs want to drive positive change in their organizations. One of the things that can hold an organization back is the current systems in place for supplier contract management. Last week I wrote about tracking expected savings in key spend categories. This week I will focus on contracts. 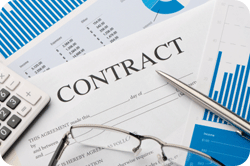 Based on my experience most companies have some system of contract management in place. The problems that we hear about are all too familiar. Contracts are contained in an online repository with limited ability to cross reference terms or conduct true wildcard searches. A complete list of contract due dates and key terms does not exist. Contracts auto renew without review because the procurement team doesn’t have the information needed to complete a strategic analysis of each contract. Vendors serving different divisions, profit centers or geographic regions have negotiated different terms and these differences are not flagged. Contract renewals are negotiated with incumbent suppliers without considering alternatives. Procurement teams spend time putting out fires and managing supplier corrective action via phone and email. Is it any wonder that CPOs have trouble sleeping? One other issue that can keep organizations from solving this issue is the current system and how to convert all of the contracts. Your procurement team may be overworked now or feel like they are overworked. If this is the case, they certainly don’t want the headache of migrating all of the existing contracts to a new system. As a CPO what steps could you take to improve the situation? Technology exists that will allow your existing contracts to be migrated to a more robust system with minimal human effort. Once the contracts are migrated, tools exist that will allow for a comprehensive due date system to be established quickly. The due dates can then be easily grouped by responsibility and a renewal calendar established. This will allow renegotiation or alternative sourcing events in advance of the renewal date. Key terminology can be extracted using wild card searches. This will allow for smarter contract negotiation and will eliminate inconsistent contracts from the same supplier. These are just some of the benefits that can be realized. It shouldn’t be that hard but it is one of the top challenges for CPOs. Action Step: What would be a good first step? I would start asking how many contracts have auto renewed in the past year. I would also find out how many contracts were renegotiated with the incumbent without considering alternative suppliers or sources. It shouldn’t surprise you to find out that 60% or more of the contracts fall into these two groups. Once you find the answers be ready to take action to fix this because even if only 20% fall into these categories that is costing your organization. EC Sourcing Group is one of the companies I represent because they help procurement teams deliver quantifiable cost and time savings. If you want to know how, I invite you to request a demo or 30 minute discovery conversation so you can experience the platform, process, people, and tools. Next week I will continue on this same theme so your organization can improve your bottom line. If you would like to know more ways to reduce costs without changing the way you do business simply give me a call or send me an email with your contact information and the best time to reach you.